You may be getting a lot of leads through, but have you ever stopped and taken a look at their strength? Remember, quality is always far better than quantity when it comes to B2B leads, so here are a few ways you can actively strengthen and improve the leads that come through your virtual door. What is a high quality lead? Ultimately the answer to that question depends on your business and what you define as a conversion. But essentially, the most common answer is an acceptable percentage of leads that are successfully nurtured through the sales funnel and become a ‘sales opportunity’. Would you deem a lead worthy of receiving your sales resource without continued follow-ups? If so, then it should be considered a quality lead. Is it a sales or marketing lead? Marketing lead: These types of leads usually take a little more time to cultivate as they often have to be ‘passed over’ to a sales executive. You’ll often find that marketing leads are positioned a little early in the buying cycle, which means they need more time and resources invested to make them grow. Sales lead: On the other hand, sales leads are usually located further along in the buying process. In other words they are a lot closer to making that final purchasing decision. They are ready and willing to interact with sales staff and require less in terms of budget and resources. Remember when we said that sales and marketing needed to work together? We’re here to talk about that in more detail. Communication between these two teams is one of the most important aspects of lead generation, especially if your sales cycle is rather long and complex. Encourage your sales team to give direct feedback to the marketing team, so the latter can become more understanding of what makes a high quality lead. Set up a monthly meeting where leads can be evaluated and reviewed and feedback freely given. Your marketing team may be surprised to learn which keywords and campaigns work better than others, and they can adapt their efforts to get better results. Scoring systems like the one we are about to suggest have been adapted and used to help people organise all sorts, from emails and letters to sales leads. In our diagram below, we’ve split a lead’s prospects depending on their ‘fit’ and ‘interest’. Those that fit but don’t have a lot interest will need a little bit of marketing help to nurture them further. If they’ve got both a high interest and a high fit, then someone needs to follow up with that lead ASAP. 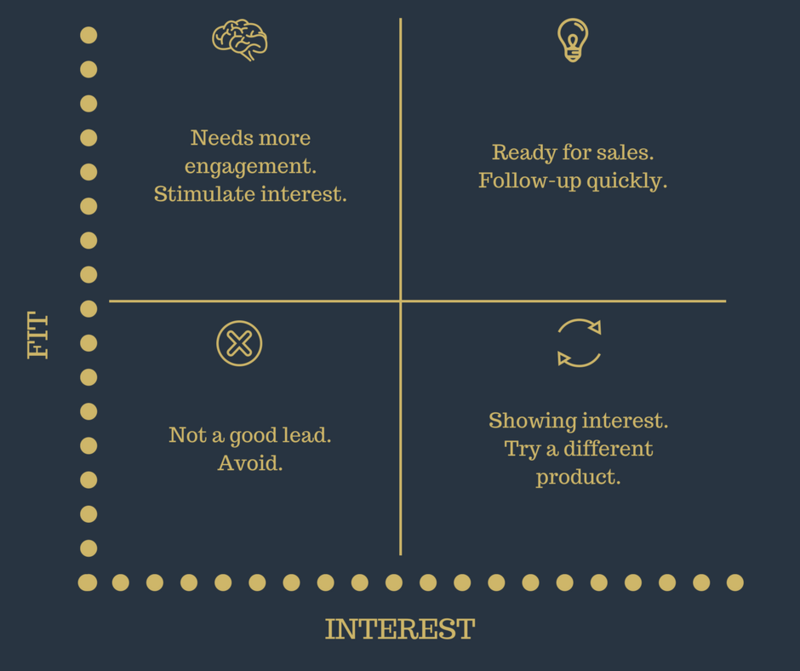 Similar to the improvement loop you created between sales and marketing, things are only going to improve if you take a really detailed look at what is really driving the top quality leads towards you. But you’re only going to be able to do this if you take a really close look at what (i.e. which keywords, ad groups and campaigns) are creating the best leads – which can be done on the basis of ROI or sales results. Should you have any questions about lead conversions, why not give our expert team a call on 0161 850 8999? We’re always happy to help!